Your teeth and gums require care and nutrition much like any other organ in the body does. With the right foods and natural remedies, you can keep them healthy and disease free. However, not many people know that it’s possible to fight off most dental problems naturally itself. This, however, does not mean you ditch dental visits altogether. Rather, find a balance between home remedies and expert consultation to be on the right side of your dental health. 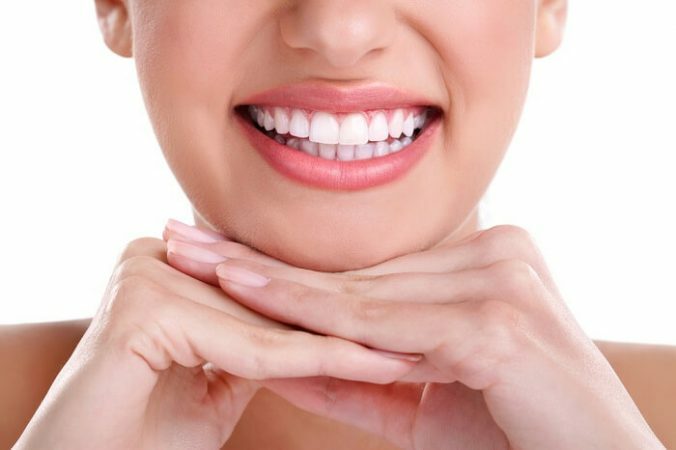 After all, healthy teeth and gums can let you smile confidently and experience boost to your self-esteem. When it comes to having healthy teeth and gums, nothing can become a substitute for oral care. Brushing, flossing, rinsing and tongue cleaning is essential for keeping your teeth white, bright and healthy. Mouthwash helps as well in preventing germ or plaque build-up inside your mouth. Your oral hygiene routines ensure that your teeth and gums continue to get the due care, and nourishment as well. When you use a fluoride-containing toothpaste or rinses, it not only replenishes the enamel but also keeps away plaque. Your teeth also benefit from anti-microbial properties to stay healthy and germ-free. Sugar-rich foods and acidic items are very harmful to your teeth and gums. They invite bacteria which can push you towards a range of dental health issues including tooth decay. You should rather include crunchy fruits and vegetables in your diet. Such foods can stimulate saliva production in the mouth and when that happens, dry mouth owning to bacteria growth is treated. More so, these foods can work as a natural toothbrush to flush out food particles, plaque and germs from within your teeth and mouth and help you stay on top of your dental health. Oil pulling is good for anyone plagued with gum problems. This home remedy is fit to try if your gums are bleeding or swollen. People with tender or irritated gums can also benefit from it and minimize the risks of periodontal disease. You can use any organic oil where the method is to take a tablespoon worth into the mouth and swish around for several minutes. Mustard oil can also help and deliver results for being anti-bacterial in nature. After swishing around, spit out and rinse the mouth and repeat the act for a few days to see the difference. Neem or Azadirachta indica is a plant that is known for millennials for its vast medicinal properties. You can trust it for your dental health, particularly healthy and whitening teeth and disease-free gums. People in south-east Asia, including India, Nepal, Pakistan, Sri Lanka, etc. have been using the twigs of neem for centuries for maintaining oral health. A neem stick is considered good for oral care and for that reason, toothpaste often uses it as one of the key ingredients. You can mix some leaves of neem with water and use the mixture for rinsing and cleaning the mouth. Did you know water is one of the essentials for dental health? You should drink plenty of it on a regular basis to keep your teeth and gums healthy. First of all, it keeps your mouth hydrated, stimulates saliva production which in turn fights off bacterial growth and treats bad breath issue. Secondly, water will wash away residue food particles and also weaken plaque or bacteria build-up to help you maintain superior dental health. It not only neutralizes the acidity harmful for your teeth but also does re-mineralization to strengthen teeth and gums. Not all teas are bad for your dental health. You should try green tea rather than coffee if health teeth and gums are what you want. Drinking it 2 to three cups a day is fine as it does not harm you in any way. Green tea is even known to fight gingivitis so stop waking up to caffeinated drinks and try this instead for a natural feel and health benefits. That aside, you should visit best dental hospital in Hyderabad at least twice a year to spot any problem at an early stage and start their treatment. What Is a Tinted Moisturizer and What Are Its Benefits?